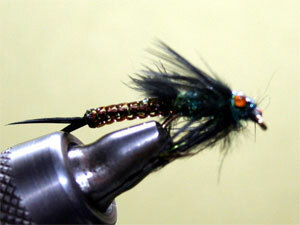 Here is a fly tied by Todd Deziel, a local angler and expert fly tier. I’ve tested these patterns in the spring and fall many times and they work. Tail Fluff: Fluff from the base of black hen hackle. Copyright 2018 outfittersnorth.com - All rights reserved.